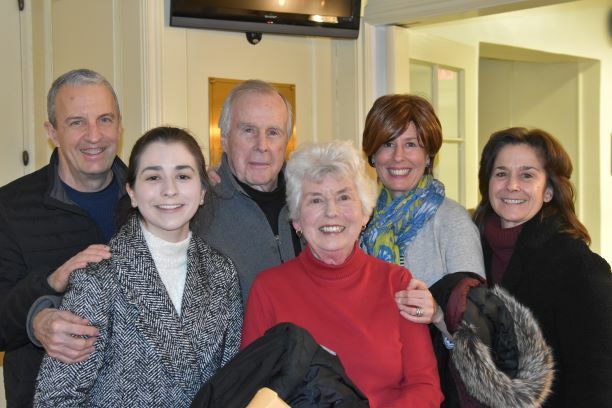 Carolyn Cunningham, the lady in red, with her family inside City Hall after receiving the Mayor John Carey Merit Award on January 9. The former City Councilmember and environmental lawyer has made many meaningful contributions to the community and beyond over the last half-century. In presenting the award, Mayor Josh Cohn gave ?a quick tour? of Cunningham?s tireless service, which includes drafting the City?s wireless law, serving on the Planning Commission, and chairing the Conservation Commission Advisory Council.